DENTAL IMPLANTS are substitutes for natural tooth roots. They rely on the bone for support. 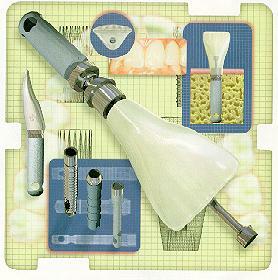 Implants give replacement teeth a more stable base and improve the use one can get out of bridgework or dentures.